Greetings, holiday shoppers! We have a special treat for you this week. 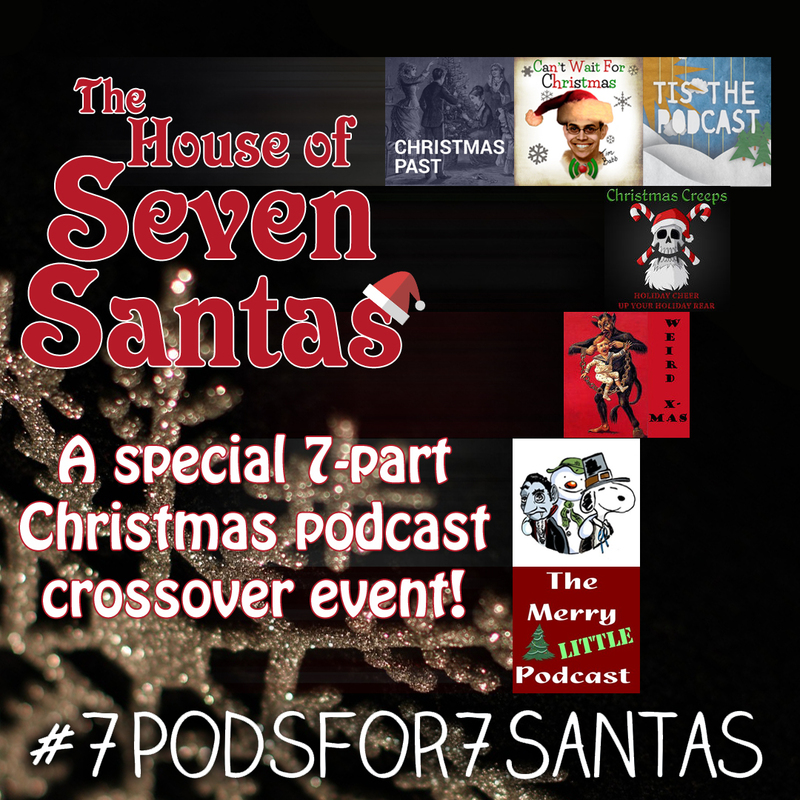 We’ve teamed up with six other holiday podcasts to bring you this seven-part Christmas tale entitled “The House of the Seven Santas”, by John Kendrick Bangs. Here’s hoping this tale and our telling of it brightens your holiday spirits! We bring you Part #4 of this holiday tale. To hear the story from the beginning, visit Christmas Past Podcast. Shout-outs to all the other podcasts taking part in this event! And a very special thanks to listener Butch for putting all these pods in touch! This entry was posted in podcast and tagged christmas, holiday special. Bookmark the permalink.